1. General packing weight is 25 kg per bag. 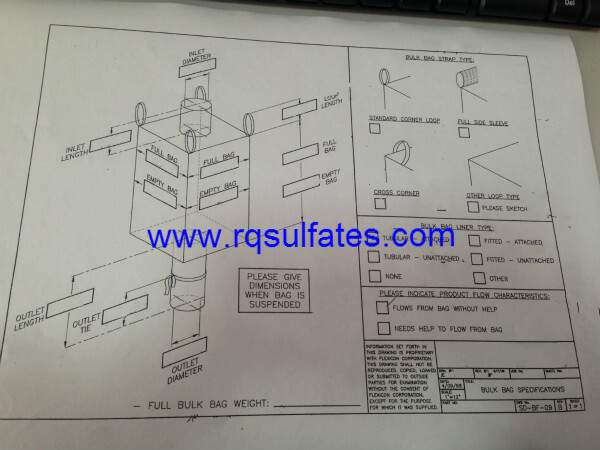 Or it can be in accordance with the customer's request to from 1 kg packaging weight to the ton bag packing weight. 2. General packing materials is plastic woven outer bag and plastic inner bag, or follow customers request. 3. Provide paper-plastic bag, kraft paper bag, PE bag and all other available packaging. 4. General marks is our company mark. 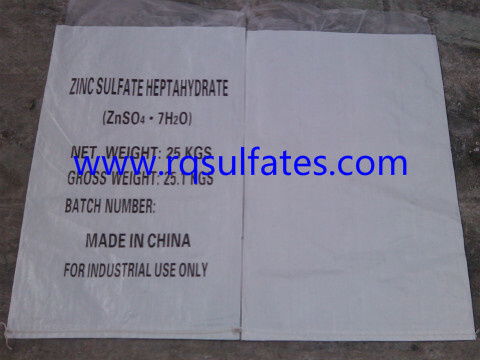 We also provide you services as OEM or neutral shipping mark. 5. Pallet services with fumigation certificate. Please check the following picture of our general packaging. For more pictures, please feel free to email us or call us. Thanks! Statement: Please respect the original content! 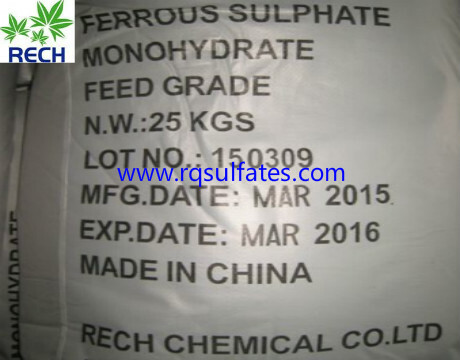 When you copy or transfer the article from Rech chemical&rsquo;s website, please remark its original address: http://www.rqsulfates.com ! Thank you!